The 12th Edition of this famous medical textbook, which was ‘Highly Commended’ in the 2006 BritishMedical Association Medical Book Competition, builds on the extensively rewritten previous edition. Over 500 clinical photographs and diagrams now illustrate the text, whilst new topics have been added to make the book even more comprehensive. 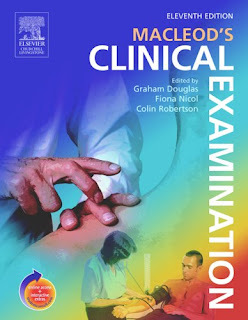 A complementary DVD now accompanies the book, with specially-recorded videos demonstrating many of the clinical examination routines as they are described in the main text. The book is written by a team of editors and contributors who are all active clinicians and experts in their specialist fields, including in general practice where much of clinical teaching is now based. It describes the practical skills which every clinician must acquire and develop in order to evolve diagnostic procedures and management strategies and plans.